Home » WHAT IS S.A.M? The program was created by Samuel Chia, Lau Chin Loong and a panel of Singaporean Educators. Based on the world-renowned Singapore Maths methodology, the S.A.M program takes a two-pronged approach; to instil discipline through self-learning, and a holistic classroom experience. 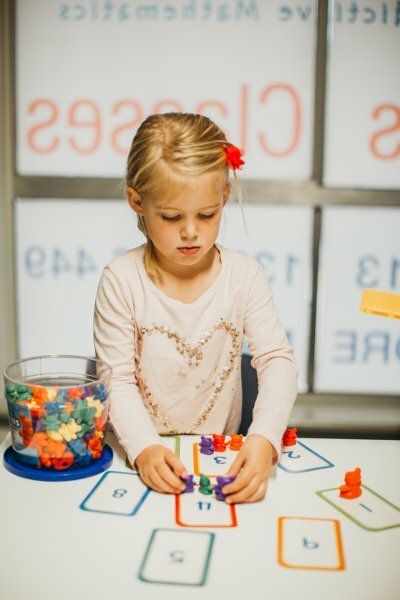 Students engage in fun activities using concrete experiences to connect mathematical concepts with real-life experiences (Concrete). The second step is to relate their new found knowledge to pictures (Pictorial) and lastly to progress to the use of numbers and formulas (Abstract). The scaffolding approach uses techniques to move students progressively towards better understanding and increased independence in the learning process. It ensures students master each topic before moving on to the next. Number bonds are a visual representation of different combinations of numbers that make up a given number. Bar modelling is a visual representation, used in the pictorial approach for solving adding and subtraction problems. Book your FREE placement session online now. One weekly class at your chosen time. Homework sessions are available for enrolled S.A.M students to complete S.A.M worksheets in class. One optional weekly homework session of 1 hour is included in the fees. The program is ongoing and structured into four terms, to coincide with local school terms. You can enrol at any time for a minimum of one term (or the remainder thereof.) Students attend lessons for 10 weeks, during the school term and receive workbooks to complete during the school holidays. Fees are paid in advance per term. Payment via installments available on request.